From the two-time NBCC Finalist, an emotionally resonant, fiercely imaginative new novel about a family's road trip across America--an indelible journey told with breathtaking imagery, spare lyricism, and profound humanity. "To leave is to die a little. To arrive is never to arrive." Mouths open to the sun, they sleep. Boy and girl, foreheads pearled with sweat, cheeks red and streaked white with dry spit. They occupy the entire space in the back of the car, spread out, limbs offering, heavy and placid. From the copilot seat, I glance back to check on them every so often, then turn around to study the map again. We advance in the slow lava of traffic toward the city limits, across the GW Bridge, and merge onto the interstate. An airplane passes above us and leaves a straight long scar on the palate of the cloudless sky. Behind the wheel, my husband adjusts his hat, dries his forehead with the back of his hand. Whom do you immediately associate with the "lost children" of the title? How many layers of getting lost appear throughout the novel, and is it always/only children who are lost? What are some of the reasons behind the family's trip to Apacheria? Discuss the parents' separate and combined work projects and their expectations for what will happen to the family once they reach their destination. What is the difference between a documentarian and a documentarist? How do the two forms of study, observation, interpretation, and synthesis make their way into the story of the family and the structure of the novel itself? Lost Children Archive is a feast of language and storytelling that chronicles a family road trip from New York City to Arizona. Valeria Luiselli's storylines follow the geographic trip and also examine the family's past and their implied future. 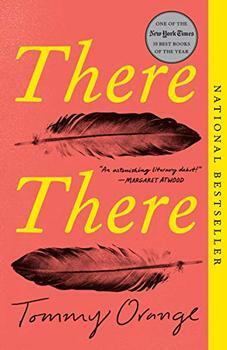 The novel gains scholarly depth with details about the history of indigenous people in the United States, and a legacy of shifting borders and past migrations. That said, the book is not a simple travelogue, but a meandering literary feat with several interior twists and turns. (Reviewed by Karen Lewis). Starred Review. Superb, powerful, eloquent ... Luiselli demonstrates how callousness toward other cultures erodes our own. Her novel makes a devastating case for compassion. Starred Review. Remarkable, inventive ... A powerful border story, at once intellectual and heartfelt. Impossibly smart, full of beauty, heart and insight ... 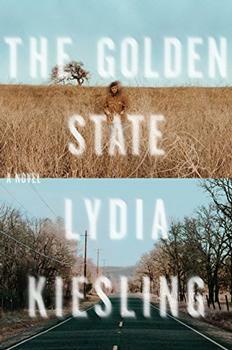 This is the perfect American road trip novel for right now. Everyone should read this book. Luiselli writes with so much intelligence, compassion and originality, her work always astonishes me. Lost Children Archive is absolutely phenomenal. Once upon a time, long before digital photography became commonplace, the only way to instantly see the results after taking a photo was by using a Polaroid instant camera. In Lost Children Archive,, the narrator gives her stepson a Polaroid camera for his tenth birthday. He takes photos during their trip, and a series of Polaroid images is included in the novel itself. A gorgeous, raw debut novel about a young woman braving the ups and downs of motherhood in a fractured America.